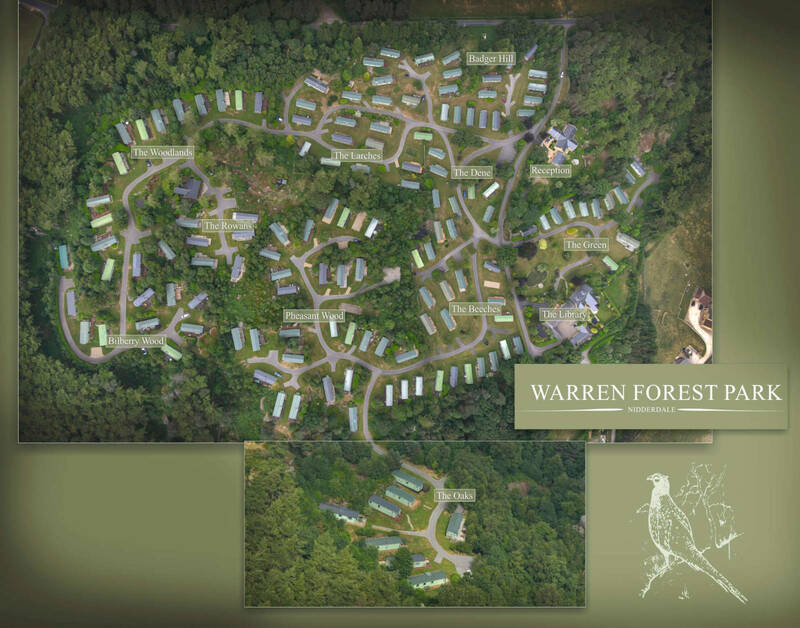 We appeal to those without family ties and many people buy a holiday home at Warren Forest purely for relaxation, peace and tranquillity. We have new and used holiday homes for sale from all of the leading manufactures, each caravan is in environmental green colouring and has a substantial timber decking. The unique position of each caravan holiday home is a result of the naturally contouring land and offer magnificent views or alternatively a more private woodland setting. 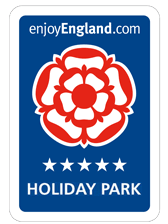 The park is a previous winner of ’Caravan Holiday Park of the Year’, ‘Best Park in Britain’ and is graded as a Five star holiday park by Quality in Tourism. 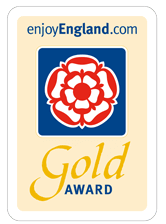 In July 2013 we became one of the very first parks in the country to gain the prestigious ‘ Gold Award’ for Five Star parks from Quality in Tourism. We are only 9 miles northwest of the elegant spa town of Harrogate, close to the market towns of Ripon and Knaresborough. The spectacular outcrops and sloping woodland, which form the park landscape, provide a naturally sheltered backdrop. This rural, unspoilt setting is home to a variety of birds and wildlife including squirrels, deer, rabbits, pheasants and an abundance of other birds. The park, family owned and run, opens each year from mid March until mid November, residents are welcome to visit during the winter months. To give peace of mind to the caravan holiday homeowners we do not hire units or take touring caravans, the park is exclusively for caravan holiday homeowners. The Park is made up of a series of areas, each offering a different attraction, from secluded woodland retreat to open areas with great views of the landscape. The library is perfect for quieter moments, stocked within excess of 5000 books and magazines along with numerous puzzles and jigsaws. Free internet access is available along with a wifi connection so that you can bring your own computer to connect to the network. Recently extended, the library now provides more room for people to relax and perhaps look at the numerous local menus or study the local walks and general information. The laundry is located next to the library providing facilities required if you choose to stay a little longer. The nine hole putting green is located near the library in one of the more formal areas of the park, as opposed to the unspoiled beauty of the woodland. Also provided are numerous benches allowing people to relax near the pond and a Summer house to take advantage of the afternoon sun. Within the park are various woodland walks, allowing you glimpses of the spectacular rock formations as well as some of the distant views, these edged paths allow the wildfire to be undisturbed. Several public footpaths lead away from the park including the Nidderdale Way and another in the direction of nearby Brimham Rocks. Warren Forest is an award winning 5 star park, previous winners of; Best Park in Britain, Best Park in England and Most Improved Park in England.